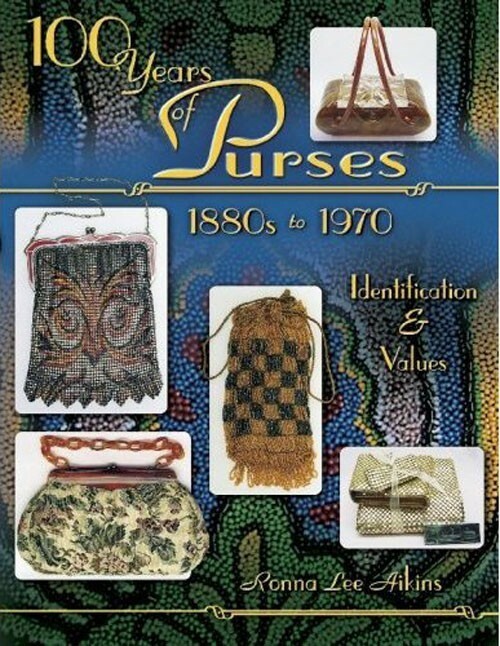 100 Years of Vintage Purses - 1880s to 1980s Author: Ronna Lee Aikins Softcover 140 pages beautiful vintage purses with values. Originally priced at 24.95 FREEBIES POLICY: One Freebie per listing purchase of 25 or more, and only if Freebies are available. The amount of Freebies varies from time to time. Sometimes there are many; sometimes few; sometimes none. THE FINE PRINT: Immediate payment with PayPal only. No international shipping. Happy to combine domestic shipping. If combining, please email for rate. Insurance at buyer's request and expense. Seller assumes no responsibility for item once transferred to delivery courier. All shipping addresses must be "Confirmed" by PayPal. All items sold "as is." All sales are final. We reserve the right to refuse service for noncompliance with policies. Thanks for your patronage.